The Northeastern Pennsylvania Health Care Foundation was established in 2011 following the sale of Mercy hospital in Scranton. Our mission is to function as a private foundation that supports the health care needs including, but not limited to, health education, community wellness, payment for medical care of the uninsured and underinsured, regardless of the facility of treatment, and to improve the complete physical, mental, and social well-being of the residents of Lackawanna, Luzerne, and Wyoming Counties. Visit the Scranton Area Foundation for more information on how you can apply for a grant through the NEPA Healthcare Foundation. The Northeastern Pennsylvania Health Care Foundation is dedicated to improving the health and well being of the people of the region and particularly those most vulnerable and most underserved of the population. 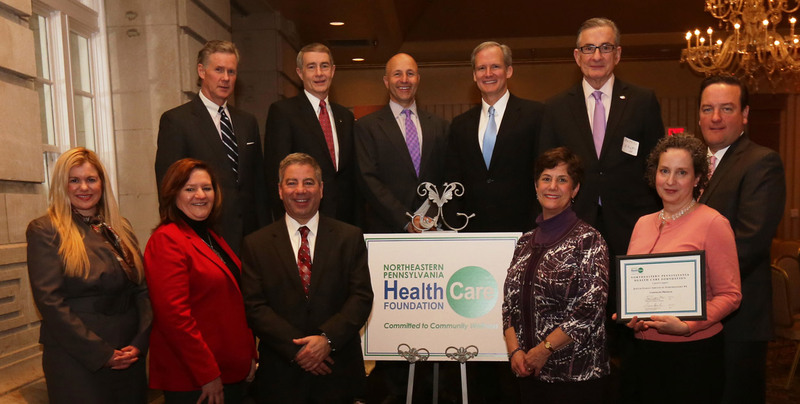 The Northeastern Pennsylvania Health Care Foundation was established in 2011 following the sale of Mercy Hospital in Scranton. The Scranton Area Foundation serves as the administrator of the Northeastern Pennsylvania Health Care Foundation. The Scranton Area Foundation is a community foundation that has been serving the people of Lackawanna County since 1954. Northeastern Pennsylvania Health Care Foundation 2016 Grant Opportunities The Northeastern PA Health Care Foundation is pleased to invite grant applications from 501(c)(3) organizations for projects designed to support health and wellness initiatives serving the people of Lackawanna, Luzerne, and Wyoming Counties. The grant-funded projects must be consistent with the mission of the Northeastern PA Health Care Foundation: to support the health care needs including, but not limited to,health education, community wellness, payment for medical care of uninsured and underinsured regardless of the facility of treatment, and to improve the complete physical, mental, and social well-being of the residents of the three named counties.